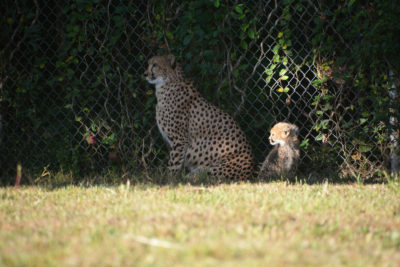 The Metro Richmond Zoo is pleased to announce the birth of 4 cheetah cubs to parents, Khari and Hatari. 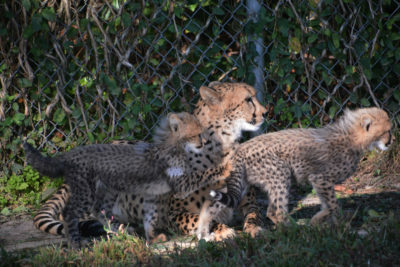 This is Khari’s 2nd litter, Hatari’s 4th litter, and the Zoo’s 8th litter of cheetah cubs. Khari gave birth to 2 females and 2 males on July 20th, 2017 after a 3 month gestation. 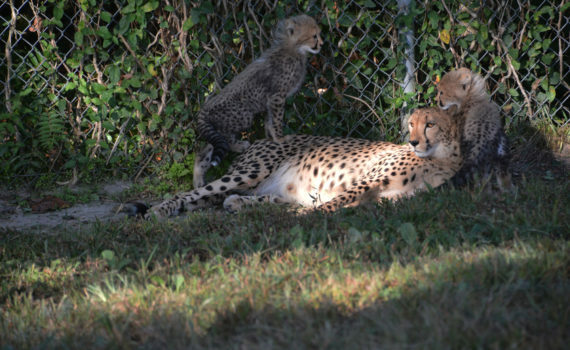 These are the 37th, 38th, 39th, and 40th cheetah cubs born at the Metro Richmond Zoo since 2013. All four cubs are doing well and are in great health. The cubs were born in our off-exhibit Cheetah Breeding Center, but have just been moved to the cheetah exhibit in the Zoo. Khari and her 2 month old cubs can now be seen by zoo guests everyday. These are the youngest cheetah cubs we have ever had on exhibit. The cheetah is Africa’s most endangered cat. In 1900, the cheetah population was around 100,000 individuals. However, due to habitat loss, human conflict, and illegal animal trade, the cheetah’s current wild population is in drastic decline. It is estimated there are around 7,000 cheetahs left in the wild. Cheetahs in the wild have an extremely high mortality rate. 90% of cubs die within the first three months of life. 50% of these deaths are attributed to predation and the other 40% fall victim to a lack of genetic diversity. 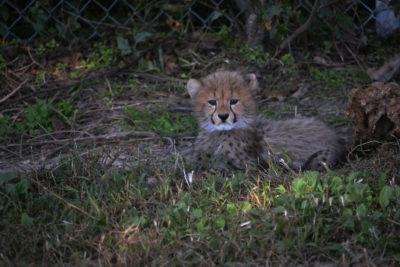 Khari’s litter will make a significant addition to the captive cheetah population. Come visit Khari and her cubs soon!